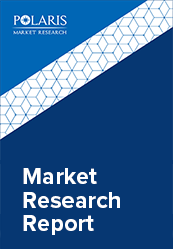 The global market size for durable medical equipment (DME) market is estimated to grow at a CAGR of 6.7% during the forecast period and was estimated to be USD 139.5 billion in 2017. The durable medical equipments are used alone or with other equipment and are indented for safety, monitoring, and diagnosis of disease. They are used in wide applications, and help in transforming quality and health of population worldwide. The development of medical equipment technologies has helped improve diagnosis and treatment for the patients. Previously, wheelchairs were operated manually; but these days powered wheelchairs are seen to be replacing the manual ones. The increasing demand for powered wheelchair, the technological advancement is expected to drive the growth of durable medical equipment market. Moreover, introduction of transfer lifts and mobility scooters in automated version in global durable medical equipment market is expected to propel the growth of durable medical equipment market. Several such examples are increasing development of medical equipment over the centuries which serve to benefit people with better and more reliable healthcare systems and services. The huge presence of geriatric population, with poorer resistance to chronic diseases such as cardiac diseases, neurological diseases, and cancer are significantly contributing towards the growth of durable medical equipment market globally. The global durable medical equipment market is segmented by device type, by end user, and by region. By device type, the global durable medical equipment market is categorized into three major categories, which includes therapeutic and monitoring devices, personal mobility devices, and medical furniture and bathroom safety devices. The therapeutic and monitoring segment is further segmented into, infusion pumps, nebulizers, blood glucose monitors, oxygen equipments, and other devices. The therapeutic and monitoring segment expected to grow at high CAGR over the forecast period. The increasing prevalence of diabetes and rising chronic diseases are the major factors fueling the growth of segment in durable medical equipment market globally. The personal mobility devices segment is again sub segmented into, Walker and rollators, Scooters, Wheelchairs, Door openers, and other devices. The personal mobility devices segment account major share in global durable medical equipment market in 2017. The cost effectiveness patient portability and comfort owing to high technology advancement in medical devices are contributing towards the growth of segment in global durable medical equipment market. Moreover, rising awareness about mobility aids increasing demand for mobility devices across the globe. On the basis of medical furniture and bathroom safety devices, the global durable medical equipment market is further segmented into, Bedding & mattresses devices, and commodes and toilets. The rise in need for care and comfort during illness, the people across the globe is adopting durable medical equipment. By end user, the global durable medical equipment market is further sub segmented into Hospitals, specialty clinics, ambulatory surgical centers, diagnostic centers, home healthcare, and others. The hospital segmented is expected to hold high share in global DME market. The home healthcare segment by end user in global durable medical equipment market is estimated to grow at high CAGR during the forecast period. The fast increasing demand for home healthcare services owing to cost-effective alternative to costly hospital stays is expected to propel the growth of segment throughout the forecast period in the global durable medical equipment market. By geography, the global durable medical equipment market is segmented into five major regions, North America, Europe, Asia Pacific, Latin America, and Middle East & Africa. The North America accounted major share in global DME market. Rising geriatric population, good reimbursement policies, and presence of key medical devices manufacturers in the region are significantly contributed towards the growth of durable medical equipment market. The Asia Pacific is expected to grow at high rate in the coming years owing to accelerated economical growth, and rising awareness, is expected to propel the growth of market in the region over the forecast period. The major players in the durable medical equipment (DME) market include as Stryker Corporation, Medtronic plc., Baxter International, Inc., Medline Industries, Inc., Becton, Dickinson and Company, Sunrise Medical (US) LLC, Invacare Corporation, ResMed, Inc., Hill-Rom Holdings, Inc., among other players.